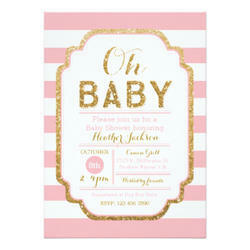 In order to meet excellent quality standards, we are supplying Baby Shower Invitation Cards. We are amongst the most reputed names in the industry, offering Baby Shower Invitations. A Bridal Shower party is a very memorable event for a new bride as it marks the end of her carefree world and beginning of an entirely new realm of life. Showers are usually coordinated by the bridesmaids or close friends and relatives, who invite guests to offer their gifts and good wishes to the new bride and groom. 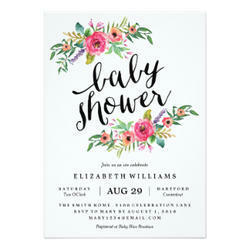 We are amongst the most reputed names in the industry, offering Baby Shower Invitation Card. We are a top-notch organisation, engaged in providing Baby Shower Cards. Our reputed entity is engaged in supplying Baby Shower Invitation. Banking on our enriched industry experience, we are able to supply Baby Shower Invitations. Commemorate all the special occasions of your life with invitations and packaging design that personify you. We take great pride in offering customized design services to our clients to meet varied needs for party invitations, personal stationary and personalized packaging. Banking on our enriched industry experience, we are able to supply Baby Shower Invitation Cards. In order to meet excellent quality standards, we are supplying Baby Shower Invitations. - Invitation Cards are the perfect start to every great baby shower. - Colours can be customised according to your requirement. - Note: As all items are handmade, minor variations from the product pictures may occur. From our wide consignment, we are affianced in supplying Baby Shower & Birthday Invitation Card. We are a top notch supplier of Baby Shower Invitations. In order to meet excellent quality standards, we are supplying Baby Showers Invitation Cards.